Although some have indicated that these numbers may be inflated,3 and although there may be variability in costs depending on the drug’s indications, it is clear that, at a minimum, nearly $100 million dollars is required for the successful development of a drug.4 Like it or not, an entrepreneur who wants to bring a drug to patients has to be prepared to secure funding for the entire process. This column touches on funding sources at different stages of development and highlights some of the considerations entrepreneurs need to be aware of. Funding options exist at just about all stages of the development path. Securing funding for early stage preclinical/pre–proof-of-concept programs from venture capital (VC) funds is often difficult. Historically, less than 10% of biotechnology VC funding goes to early stage companies raising their first round of funding.5 Although producing positive clinical proof-of-concept data certainly opens the doors to more traditional corporate or venture funding, moving from the preclinical stage to clinical proof of concept often requires more capital than is expected. The gap between these two periods is often referred to as the “valley of death” because it is when many novel therapeutics fail to secure funding for further development. Activities during this period include establishment of preclinical proof of concept with the intended dosing form, determination of the method of delivery, formal Good Laboratory Practice animal safety and toxicology testing, development of supplies under Good Manufacturing Practice for clinical trials, and, finally, human clinical trials assessing safety and preliminary efficacy. Recognizing this funding challenge, and adequately preparing for it by raising sufficient capital, will help to bridge the valley and keep innovative scientific discoveries on a forward-moving path. Basic discovery research is most often funded primarily by government and federally funded grants, and late-stage development by pharmaceutical companies or crossover funds; however, there are a variety of funding resources available at the various stages of the drug-development process. It is quite common for developers to turn to friends and family (F&F) for the initial capital required to advance a product concept. Generally speaking, F&F financing rounds occur in the seed stage before professional investors are willing to take a chance and invest. This initial capital often comes from the personal assets of the company’s founder, the product developer, or, as the name suggests, from friends and family. The amount of money allotted from F&F is usually relatively small, as F&F financial resources are limited. This financing is generally used for initial proof-of-concept research and development and to attract the attention of higher funding angels or venture capitalists. A second funding option for early-stage retina drug developers is angel investors. Angel investors typically provide seed capital from their own funds for projects to reach an initial inflection point; their investment can be either a one-time injection of money or ongoing support. This group is likely to provide capital in exchange for ownership equity and may also add value to the company by adding high quality mentoring and advice. The downside to F&F and angel financing is, typically, dozens of individual investors are needed in order to raise enough money to move a project to a value inflection point. The road to innovation via F&F and angel financing is arduous, although not impossible (see A Case Study: Alkeus Pharmaceuticals). Combining the funds from F&F or angels into a single investment vehicle, represented by 1 or 2 of the angel investors, is preferred, as this allows the entrepreneur to remain focused on driving the product forward instead of managing dozens of individual investors. While it is rare that F&F and individual investors can provide sufficient capital to drive a retinal drug candidate to a clinical value inflection point, they provide a valuable source of early stage capital. This may generate sufficient proof of concept to attract deeper pockets while providing a credible alternative that can be useful when negotiating terms with venture capitalists (many times alongside nondilutive funding sources, such as grants). VC investment for early stage, preclinical programs is difficult to secure in part because of the high risk associated with early stage drug development and also because of the historical lack of returns for early stage health care venture funds, resulting in lower capital inflow into this sector. The primary differences between angel and VC investors are the stage of drug development at which these funding sources usually become involved and the size of the investment. Venture capitalists generally invest tens of millions of dollars in a financing round, compared with much smaller investments made by individual angel investors. The goal of venture capitalists is to sell their shares in the company to a corporate partner or in an initial public offering (IPO) at a high profit. In their financial models, venture capitalists target a high return on investment for each company. Assuming some of their investments will not generate a return or will underperform, a short term (2-3 years) timeframe from investment to exit would generally be modeled by a venture capitalist to generate a return of 3 to 4 times, and as high as 10 times the original investment as the time to exit approaches 5 years. When developers are looking to VC for funding, a clear-cut development program needs to be outlined based on the potential return at each value inflection point. While venture capitalists provide significant capital, the cost of this capital is usually high and also brings with it loss of control. For the entrepreneur, this can translate to a loss of any role in the company, a loss of influence over key decisions (such as the choice of strategic directions, human resource decisions, when to sell the company, and when to do the next fundraising) and/or a reduced economic interest. However, given the high cost of drug development, most entrepreneurs will need to tap any source of financing—venture capitalists being a major one—in order to be successful. Clinical research organizations (CROs) may also be a source of strategic funding for a development program. Novaquest, a venture fund formed by Quintiles in 2000, is an example of a generalist fund.8 At Ora, through Ora Investment Group, we have successfully worked with entrepreneurs and startups under creative risk sharing structures for more than 15 years in ophthalmology with successful outcomes. A CRO partner that has development experience with retina therapies, resources, and expertise to take a product through value inflection and the pivotal trials to approval can be an effective funding source. Transferring an equity stake or other consideration, in exchange for a reduced cost for preclinical development, clinical trial, and consulting services, can advance product concepts that would be unable to proceed due to the otherwise rate-limiting cost of clinical trials. The history and progress of Alkeus Pharmaceuticals is a great example of how one company moved a project forward to value inflection in the clinic via a route other than venture capital (VC). In 2007, Ilyas Washington, PhD, then a young professor at Columbia University Eye Institute and the department’s only chemist, discovered new compounds that could potentially be used to prevent the formation of toxic vitamin A aggregates that were widely thought to be responsible for several forms of retinal degeneration. “I was convinced that these compounds could become a one-pill-per-day treatment to slow or prevent blindness without affecting the visual cycle and with minimal, if any, side effects,” said Dr. Washington. Late in 2009, CTV was approached by a young entrepreneur named Leonide Saad. “My first meeting with Leonide, I was surprised by how well prepared he was. He had done a lot of background reading and was more prepared than everyone else I had been introduced to,” Dr. Washington said. After a few months of discussion and negotiation, Mr. Saad decided to take on this project, and Alkeus Pharmaceuticals was born, launching with an exclusive license of Dr. Washington’s invention. During its first 2 years, Alkeus flourished off a “friends and family” round of financing, which brought the drug through the investigational new drug stage and orphan drug designation for Stargardt disease. Then the company was a Diamond Winner at the MassChallenge startup competition. A few months after winning the MassChallenge grant, in 2012, Alkeus recruited Joshua Boger (founder of Vertex Pharmaceuticals) out of retirement to help in this adventure. The company has now completed a phase 1 trial and is about to start a long-term phase 2 study to assess the effects of ALK-001 in Stargardt disease. For information about these trials, e-mail trials@alkeus.com. Investments in companies by venture capitalists or angels reduce the ownership stake of the founding team in the company. Similarly, early partnerships with pharmaceutical companies may lead to giving up some form of rights to the product. Grants provide companies with nondilutive financing, or the potential to receive development funding without diluting an entrepreneur’s ownership in the company. Ophthalmic-specific sources of grants fund novel research to treat retinal diseases and, subsequently, translate that research into the clinic. At the federal level, the Department of Health and Human Services’ Small Business Innovation Research program provides financial assistance to companies attempting to advance their initial discoveries to commercial development. The National Eye Institute of the National Institutes of Health, the Glaucoma Research Foundation, Foundation Fighting Blindness, and the Clinical Research Institute all offer similar programs. The US Food and Drug Administration’s Office of Orphan Products Development is also a viable option to seek out grants that can cover some of the costs for translational research and investigational new drug–enabling studies. State-funded programs may also be available to certain developers. For example, California boasts the California Institute for Regenerative Medicine, California’s stem-cell research funding agency. New York is home to the New York Stem Cell Foundation. Although grants typically do not dilute equity stake, it can take a long time. In addition, some grants require that government agencies run the clinical trials. These trials typically run much slower than those run by corporations. These extended timelines are also a cost that must be taken into account prior to pursuing nondilutive financing. Sena Biswas, PhD, is managing director of VIMAC Ventures. Dr. Biswas may be reached at sbiswas@vimac.com. Matt Chapin is the senior vice president of corporate development at Ora. He may be reached at mchapin@oraclinical.com. 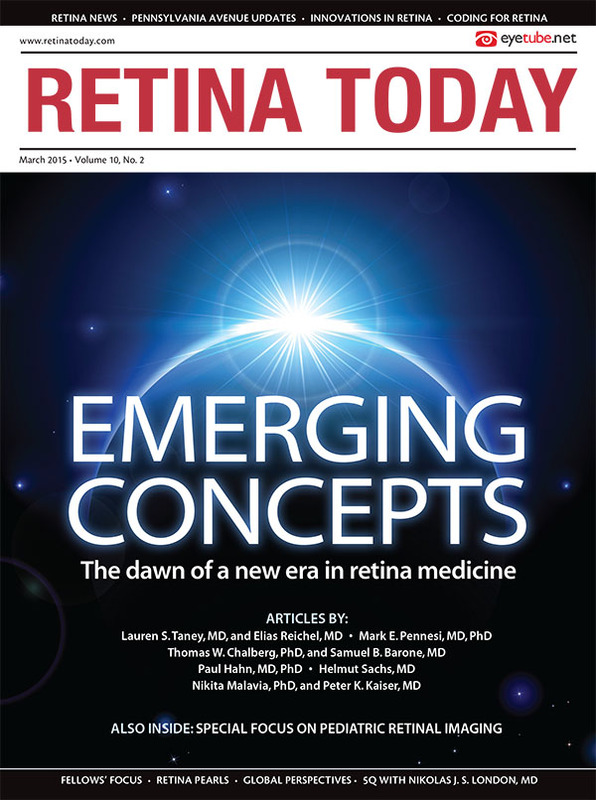 Aron Shapiro is vice president of retina at Ora. He may be reached at ashapiro@oraclinical.com. 1. Nicolaou KC. Advancing the drug discovery and development process. Angewandte Chemie. 2014;53(35):9128-9140. 2. Cost to Develop and Win Marketing Approval for a New Drug Is $2.6 Billion. Tufts University. http://csdd.tufts.edu/news/complete_story/pr_tufts_csdd_2014_cost_study. Accessed December 18, 2014. 3. $2.6 Billion to Develop a Drug? New Estimate Makes Questionable Assumptions. The New York Times. http://www.nytimes.com/2014/11/19/upshot/calculating-the-real-costs-of-developing-a-new-drug.html?_r=1&abt=0002&abg=1. Accessed January 24, 2015. 4. Morgan S, Grootendorst P, Lexchin J, et al. The cost of drug development: a systematic review. Health Policy. 2011;100(1):4-17.